Bad hair day? The mirror L Dutch from Goods Mirror Mirror by Joop Steenkamer Jr. doesn’t think so. 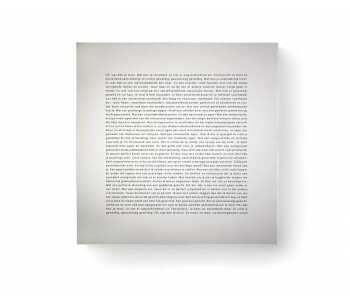 The square mirror with Dutch text will praise you to the skies! Combined with the smaller design wall mirror - full of compliments on your looks - the mirrors from Mirror Mirror by Goods are a decorative appearance! An original present for your family or loved one. Also available in English and German. The mirror from Goods Mirror Mirror L Dutch by designer Joop Steenkamer Jr. provides a (different) look at your self-image. Inspired by the fairytale of Snow White, this square mirror gives all kinds of compliments on your appearance. From your charming smile to your flowing locks; you will be praised to the skies! 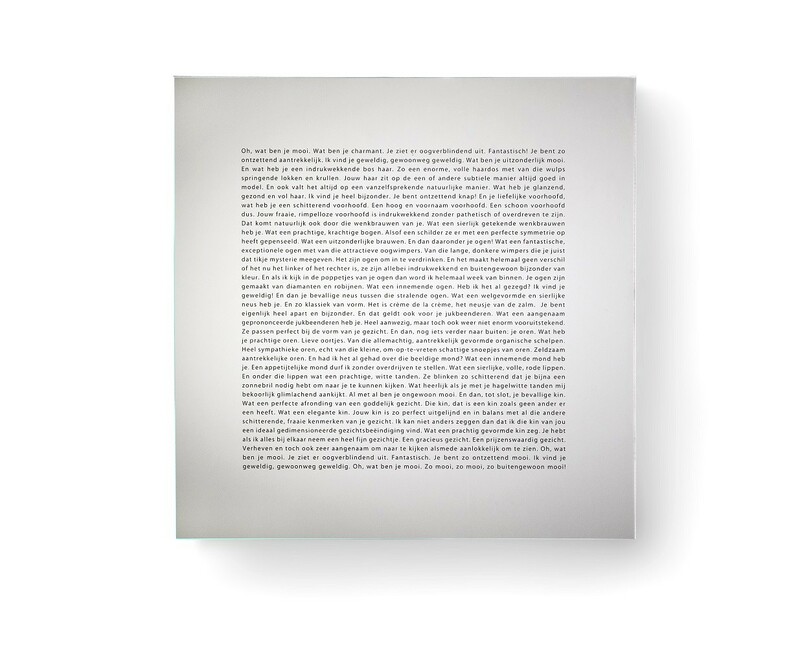 Although you will have to look through the Dutch text, the size (40 centimeters) of the large mirrors from Mirror Mirror is perfect for checking mascara, lipstick, contact lenses, or earrings. The texts on the mirrors are also available in English and German. Joop Steenkamer Jr. is a Dutch designer who likes to suggest solutions to problems that people experience. Through products, that is! As a result, it’s not difficult to guess the solution that the mirror by Goods provides! 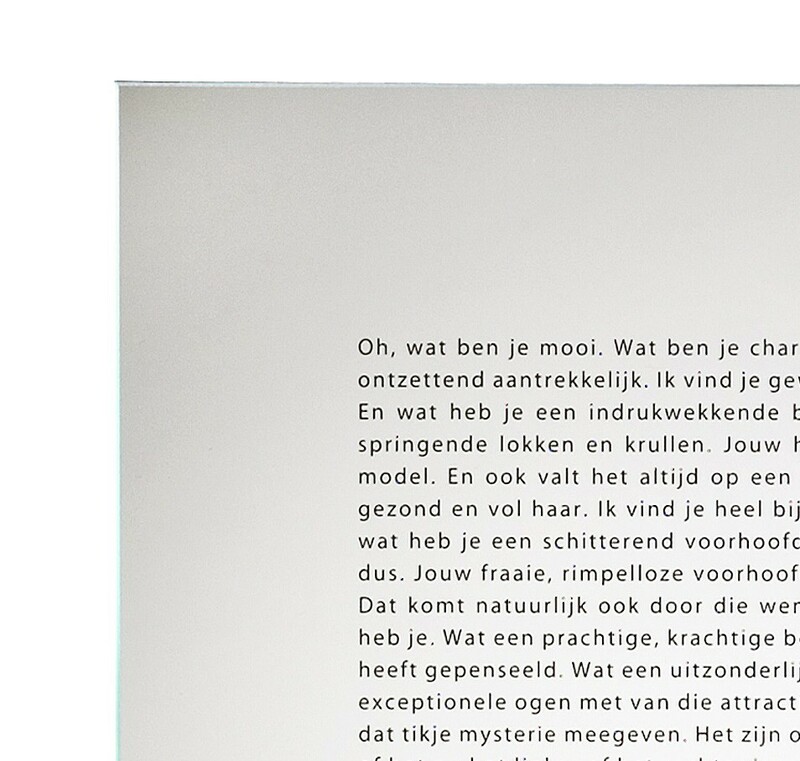 Not only is the Goods mirror with Dutch text a nice present to give away; it also confronts you with a different (positive) image of your appearance. No matter how disheveled your face looks in the morning or how low your self-image is, the mirrors from Mirror Mirror by Goods will make you feel happy!